India as a country has witnessed huge development in the capacitors manufacturers. Since years many companies including the Advance Capacitors - a Mysore based company, has manufactured and produced varieties of capacitors. In which, the power capacitors manufacturing is one of the largest produced product for its different usages. In India itself there are hundreds of companies that manufacture power capacitors every year. 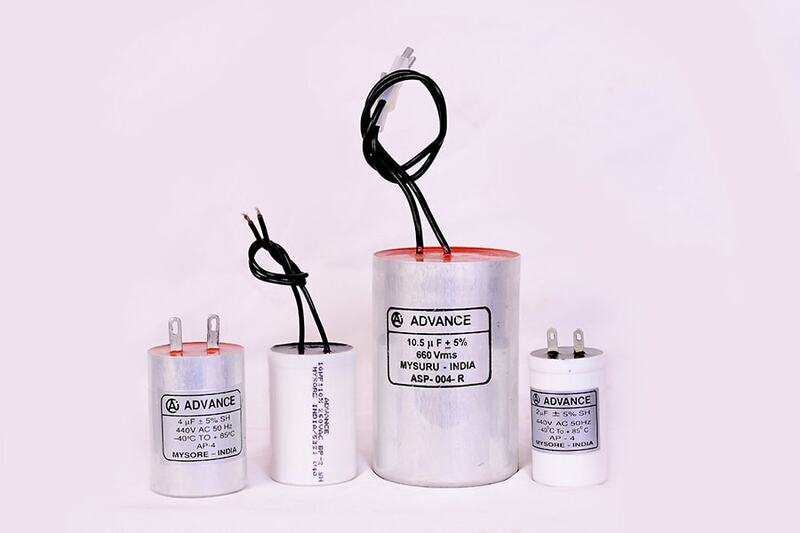 Advance Capacitors being one of these manufacturers is the proud manufacturer of power capacitors that are exported globally for its quality and sustainability. Power capacitors are the devices that store electrical energy keeping away the reactive current components from power distribution applications. This capacitors preserve the product from resonance and increases the quality of power by eliminating the harmonic currents produced by a heavy load. This power capacitor is made of two conducting plates that are separated by a dielectric. There are single layer dielectrics and multilayer dielectrics available in the market, in which multilayer dielectrics are highly used for its temperature stability and frequency characteristics. They are used in the automotive industries, aerospace industries, power supplies, power factor correction, motor starters, and lighting circuits.